MLW presented SuperFight live from the 2300 Arena in Philadelphia this weekend. The promotion announced several live events recently. This past Saturday night’s MLW Superfight event from Philadelphia, PA was a huge success for the promotion. The show was very well received by fans online and MLW broke its all-time box office record. You can watch MLW Superfight in its entirety below. MLW’s next live event will be the return of Intimidation Games on Saturday, March 2nd from Chicago, IL at Cicero Stadium. This will be another live event on beIN SPORTS. We're heading back to Chicago! Hot of the success of MLW Superfight, Major League Wrestling returns to the 2300 Arena in Philadelphia on Saturday, June 1st. MLW Superfight is poised to become an annual show. 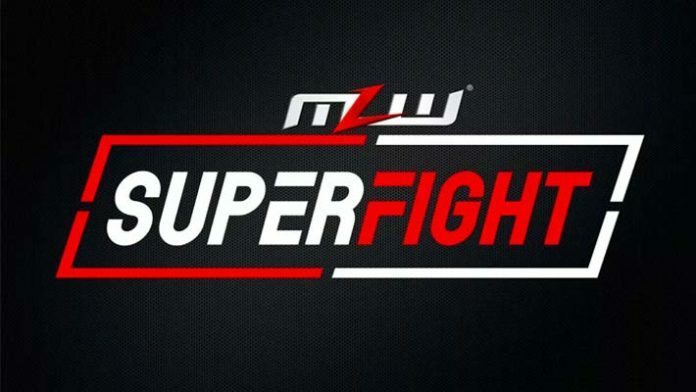 During the MLW Superfight broadcast, the promotion announced MLW Suoperfight II will be taking place next February from Los Angeles, CA. Following MLW Superfight, MLW CEO Court Bauer took to social media to thank Pentagon Jr. and Rey Fenix for their 7-month MLW tag team championship reign. The brothers lost the MLW Tag Team championships this weekend to the Hart Foundation team of Davey Boy Smith Jr. and Teddy Hart. Bauer wishes Pengaton and Fenix well “wherever they go.” As we covered over the weekend, the Lucha Bros. have agreed to wrestle for All Elite Wrestling (AEW). It’s believed those deals are non-exclusive and they should be able to continue working for MLW, Impact Wrestling and other non-WWE companies. Court Bauer also thanked Low Ki for all the hard work that went into his MLW World Heavyweight Championship reign. He was defeated by “Filthy” Tom Lawler at Superfight.